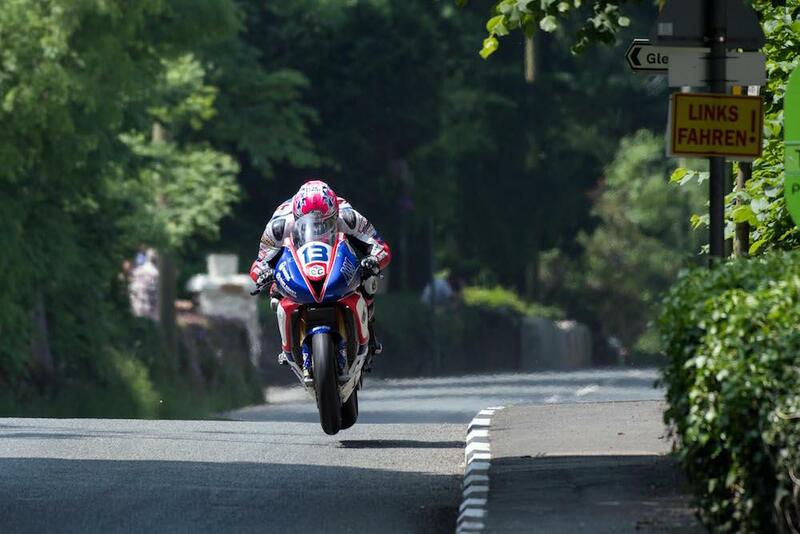 Lee Johnston will set off down Bray Hill from the number one spot in the Supersport class at this year’s Isle of Man TT. While the 600cc category’s start order is largely similar to that for the Superbike and Senior races, with no booming Norton to set off at number one, Johnston is promoted to the front as he seeks his first podium in the small bike class with the Jackson Racing Honda team. As on the 1000cc bikes, Bruce Anstey and James Hillier will set off from number two and three respectively, ahead of pre-event favourite Ian Hutchinson, who has won the last four Supersport races on the iconic mountain course. Hutchinson remains with the Traction Control Yamaha team and will ride the all-new Yamaha R6. John McGuinness will set off behind him at number five, ahead of Michael Dunlop who it’s now been confirmed will ride his trusty MD Racing Yamaha in the 600cc class in which he still holds the lap record of 128.666 set in 2013. Conor Cummins will set off seventh, while Gary Johnson takes on the number eight plate on his ex-Lee Johnston Triumph in the absence of Guy Martin the Supersport class. Dean Harrison, who finished on the podium in both 600cc races last year, starts ninth ahead of Peter Hickman, who will campaign the Smiths Triumph last ridden by Guy Martin in 2015. Michael Rutter starts in his customary 11 spot riding a Stephen Thompson Yamaha, ahead of David Johnson who is yet to confirm what he’ll ride in the middleweight class. Jamie Coward takes Johnston’s number 13, ahead of Dan Kneen, Josh Brookes and William Dunlop, however Kneen and Brookes are still searching for 600cc rides. Steve Mercer heads off at number 17 ahead of Martin Jessopp, with James Cowton and Dan Cooper completing the 20 seeded riders.